My husband really liked these gloves. He said they fit like a 2nd skin and did not bind up around his fingers. He will be using these gloves for riding the motorcycle. The gloves are a super thin material with a rubber like coating on the inside of the palm and up the fingers. It is called TAC-Sense. It is a no slip grip. The grip is thin enough though that you have pretty good feeling in your hand. There is a velcro strap at each wrist, so it is adjustable. The material is very soft on your hands and also stretchy. They move well with your hand and finger movements. 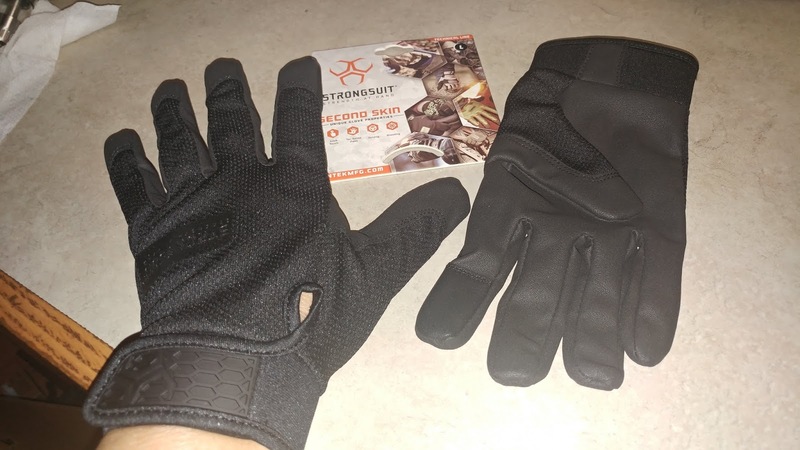 These gloves are great for riding horses and motorcycles, hooting and hunting, for mechanics of all types, and even military personnel. 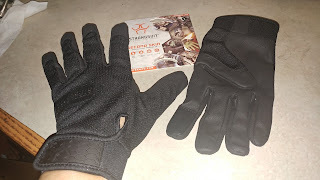 If you use your hands but need a good grip you should try a pair of these. The fore finger on each glove is also touchscreen compatible. So you can text, make calls, surf the web, or play games with the gloves on. All of these pluses and they look nice too. These gloves would make a great gift for any man in your life and women too.